Lange Eye Care in Florida was started by Dr. Michael Lange an Optometrist and Board Certified Nutrition Specialist March 15 1993. Lange Eye Care opened to 13 locations by 2014. The Lange Eye Institute is one of the largest eyecare centers of its type in the state of Florida. Lange Eye Care has close to 20 doctors on staff and can handle anything from minor eye irritation to advanced eye surgery. Lange Eye Care Florida has one of the largest supplies of contact lenses in the state and this allows for 99% of all patients that are fit in contacts to leave with their contacts on that day. Dr Michael Lange started his first office in ocala Florida on 3/15/1993 and then second office in Gainesville Florida in 94. Lange Eye Care had opened to 13 locations by June 2013 and plans on expanding into other markets. Dr. Lange has developed a nationally recognized eye care center that is involved in cutting edge research . The Lange Eye Institute is involved in multiple nutrition, opitcal and contact lens studies at any given time. Lange Eye Cares philosophy is to "go that extra mile" and treat everyone as if they were family. As of March 2016 Dr. Michael Lange sees patients 5 days a week at The Lange Eye Institute in the Villages Florida. Dr. Lange has an elite group of hand picked eye doctors both optometrists and ophthalmologists to take care of the vast array of patients in the Florida area. The Lange Eye Institute also has the latest in technology to aid the doctors in early and correct diagnosis of eye disease and helps the doctors in their ongoing treatment of any eye disorder. The doctors and staff are continuously updating their knowledge and skills thru ongoing continuing education that is provided by Lange Eye Institute. Dr. Michael Lange is a pioneer in the area of nutrition and eye care and has developed unique vitamin formulations that are being used world wider by doctors to help combat against free radical damage and disease in the eyes and body. 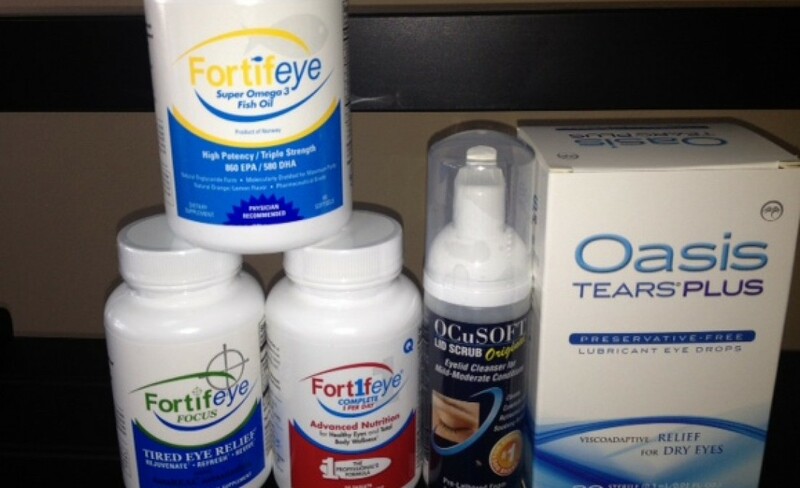 www.fortifeye.com, Dr. Michael Lange was one of the first Optometrists in the country to become a Certified Nutrition Specialist. Dr. Lange and his staff of doctors uses their knowledge in nutrititon to enhance the eye exam experience at the Lange Eye Institute. Dr. Lange states " you would be amazed at what some simple dieatary and lifestyle changes can make in a patients visual future. Patients come from all over the country for this unique eye approach. In April of 2016 Dr Lange sold all of his office except The Lange Eye Institute. Dr Lange now spends the majority of his time seeing patients at his flagship , The Lange Eye Institute in The Villages Florida. This center is close to 30,000 sq ft and houses the very latest in eye technology. Dr Michael Lange started a new company Blue Light Defense in 2015 to research and develop lenses that filter the damaging blue -violet frequencies of light. In 2017 Dr Lange purchased Paleo Simplified to help improve the diets of all Americans.